Unquestionably, workstations are a vital item in any office in the Orlando, Florida, area and throughout the nation. 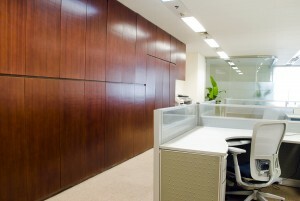 The design and configuration of an officeâ€™s cubicles will determine the atmosphere of the workplace. For example, cubicles with high panels will promote privacy, while workstations with low panels will foster collaboration. At ROF, we offer businesses in and around Orlando, Florida, a large selection of cubicles to choose from, so they will be sure to find ones that suit their offices perfectly. New â€“ We offer a selection of brand-new cubicles that are commercial-grade and will look great and function as they should even after years of daily use. Used â€“ You can rest assured all of our used workstations are of the highest quality because they come from top manufacturers, including Indiana Furniture, Knoll, HON, Steelcase, Herman Miller, Allsteel, and so many more. Remanufactured/refurbished â€“ We use these terms interchangeably, and we define this as restoring cubicles to â€œlike-newâ€ condition, using our own in-house refurbishment team. This will give you the opportunity to have your choice of panel fabrics and other slight customizations. If you would like to inquire about the workstations we currently have available for your office in Orlando, Florida, contact ROF today. We would be happy to work with you to provide your office with cubicles that perfectly suit your business.